The hit musical currently showing in London's West End is using DPA's d:screet™ 4060 Omnidirectional Miniature Microphones to provide amplification on stage. The hit stage musical of The Bodyguard, currently playing at the Adelphi Theatre in London, is relying on DPA's d:screet™ 4060 Omnidirectional Miniature Microphones to provide amplification for all members of the cast who have spoken lines. 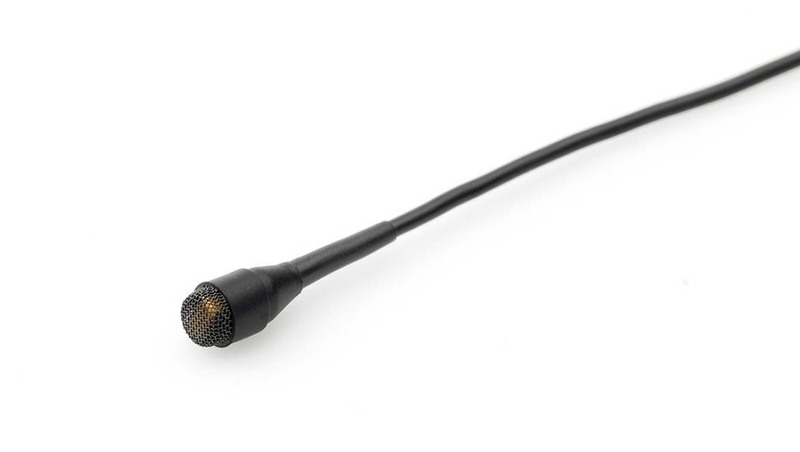 DPA microphones have long been popular with the sound teams working on theatre productions, particularly those in the West End and on Broadway. The rugged nature of the company's miniature microphones, combined with their ability to deliver great quality audio even when hidden in wigs and costumes, have made them enduring favourites. Ania Klimowicz, Deputy Head of Sound for The Bodyguard, says DPA's d:screet™ 4060s were chosen because sound designer Richard Brooker and director Thea Sharrock didn’t want any microphones to be visible to the audience. The microphones were supplied by Autograph. "We use paint, tape and make-up on the mics to make them look as invisible in the actors’ hair or wig as possible," Klimowicz explains. "We mainly use ‘mic clips’ and occasionally elastic to fix the mics to the performer's head. Male actors with shaved heads are probably our biggest challenge – in those cases we abandon the usual centre top of forehead fitting and fit the mic over the ear." "Three members of the cast are ‘double mic-ed’ meaning they wear a main and backup DPA d:screet™ 4060 head microphone," Klimowicz says. "Some of the girls wear a headset, a head-mic and use a handheld microphone at various points during the show. Generally the sound for the spoken parts of the show is reinforced but remains naturalistic. This contrasts with numbers such as Queen of the Night or So Emotional, which are set during concerts and therefore need to feel big and more rock ‘n’ roll." "We use the head-mics here as the song moves as part of the story and a hand-held would somewhat break with the audiences' suspension of disbelief," she explains. "The DPA d:screet™ 4060 microphones sound great and are also very reliable. We rarely have an issue with them," she says. "Given the amount of wear and tear they face on a daily basis, they are incredibly rugged. They are also very small, which makes them much easier to hide in hair and wigs."